A detergent and rinse aid specifically formulated to work within auto dosing dishwashers with all plastic, melamine and aluminium items. A Combination pack containing 1x5L of Halo Polycarb AL Detergent and 1x5L of Halo Polycarb RA Rinse Aid. A specially developed non-ionic surfactant formula, safe for use with all styles of Aluminium, plastic and polycarbonate items. 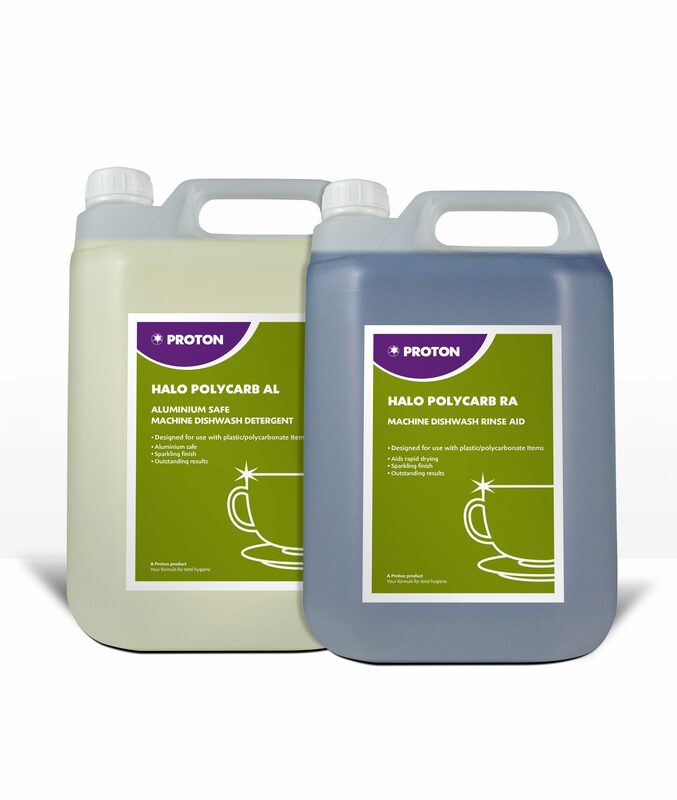 The combination pack contains 1x5L of Halo Polycarb AL Detergent and 1x5L of Halo Polycarb RA Rinse Aid. 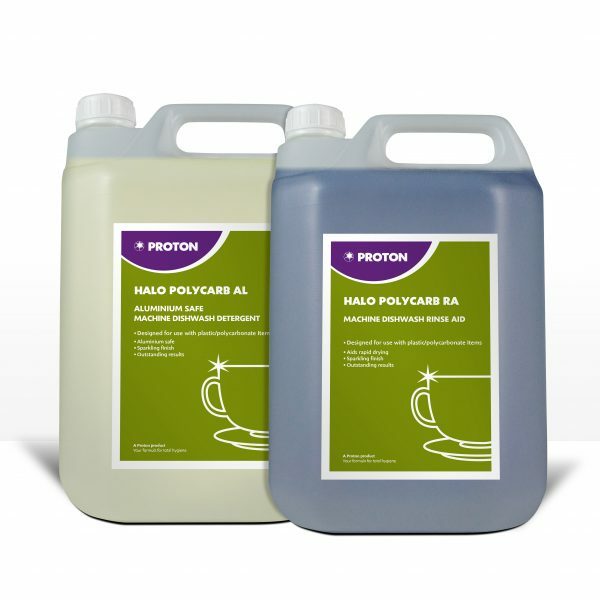 Halo Polycarb AL Detergent A Machine Detergent, specially developed for use in automatic dosing Dishwashers This concentrated detergent formula is excellent at removing dirt deposits, grease, stains and tannins while being safe for use with all styles of plastic and polycarbonate service ware. 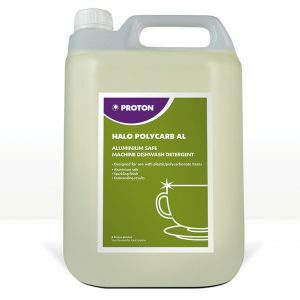 Halo Polycarb AL Detergent leaves all plastic and polycarbonate tableware looking clean and like new without causing damage and leading to costly replacements. Halo Polycarb RA Rinse Aid A Machine Rinse Aid additive, specially developed for use in automatic dosing Dishwashers. Ideal for use in all water hardness conditions. A specially developed non-ionic surfactant formula, safe for use with all styles of Aluminium, plastic and polycarbonate items. Promotes rapid drying on plastic and polycarbonate tableware, better than standard dishwash rinse aids. Gives a crisp streak free shine and no aftertaste.